Poster Stand Displays For Events and Shows. 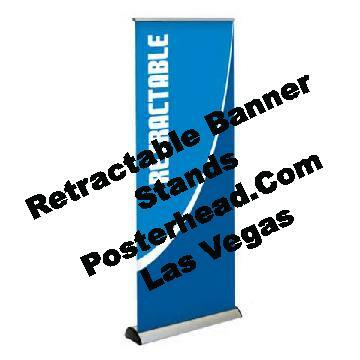 July 6, 2018 Robert W.
Poster stand displays are the perfect display graphic for the many events and shows in Las Vegas. Poster stand displays are easy to set up, are large enough to contain much product information and are inexpensive. These attributes make poster stand displays very popular at the numerous shows and events held in Las Vegas. ( More information non these types of sign stands can be found at http://www.industriat.com/brief-information-on-banner-stands-at-your-behest/. Las Vegas literally holds hundreds of events and shows a year. It seems that everybody wants to have their shows in Las Vegas, because not only does Vegas have the necessary venues and accommodations to hold the biggest of shows, it is a fun place to have recreation after the show is finished ! Poster stand displays are inexpensive , with prices for the stand, graphic and carrying case starting off at less than one hundred dollars. For this price, you can get the full color 33″ x 78″ poster stand with telescopic pole for height adjustment, that can include printed logos, pictures and other graphics. These stands come in many different widths and heights so that you can be matched up with the “right” display for you. Another option is to build a “banner wall” , which is when you take a large graphic, divide it up into sections, and then place the graphics on poster stands that are then placed next to each other in order to form a wall that looks like a single graphic. Businesses like doing this because a single person can then put up their display in a matter of minutes without the help of expensive union workers at the convention centers. Poster stand displays take only a day or so to print and make. Often, the poster stands have to be made in the same day because they often get damaged or lost while transporting them to Las Vegas.